Want an easy way to search house listings? We have a very mobile friendly app for you! 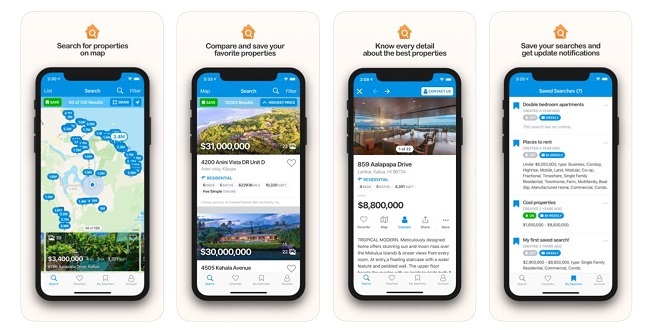 (In our opinion, it's better than the Zillow app... and more accurate!) Download FREE by clicking on the App Store icon. If you are looking for real estate in Waco, Woodway, Hewitt, Lorena, China Spring, Robinson, or any of our neighboring cities, please do not hesitate to give us a call! Let Duck Brothers Real Estate find your perfect home and take the anxiety out of closing! Conveniently located between Dallas and Austin, Waco Texas real estate is a rapidly expanding market full of opportunities. If you are looking for Homes for Sale in Waco Texas, your search ends here. Do not be fooled, we are here to help you filter through all the garbage and find the perfect home here in Waco and surrounding areas. We know the Waco Texas Real Estate market! Waco is home to three college campuses, fourteen museums, numerous public parks and libraries, excellent school districts, the Cameron Park Zoo and plenty of dining, shopping, and entertainment options. Whether you’re a sports enthusiast or love to collect antiques, there’s something here for everyone. Our broker, Alan Cooper, has proudly called this area home for 25 years and knows it like the back of his hand. As a father of two young boys, he believes in community involvement and providing quality service to local families. Your Dream Home is Here! Find Now! Our agents combine detailed knowledge of local markets with negotiating expertise and first-rate customer service to make your home buying process convenient and stress-free. We've spent years building relationships in the Waco area, and can't wait to bring those advantages to you! The American Dream is embodied in home ownership, and our goal is to help each and every person we meet achieve that. We take pride in the home buying process and strive to slow down, enjoy the experience, and build friendships with our customers. We're not just selling a home to a client. We want to build relationships that last and help our friends find the perfect place to call home. Just like Waco TX real estate, we have a lot to offer! Start your journey by browsing Waco real estate listings, or using the search engine to find homes for sale. You can also refine your search by the surrounding communities or school districts. Feel free to email us with any questions or specific ideas you have about your dream home! Duck Brothers Real Estate: Helping families reach their American Dream, one home at a time.